It never ceases to amaze me what people will hoard and collect. The good thing is that this gives you the chance to get rid of junk or to forage for items to sell at a profit. 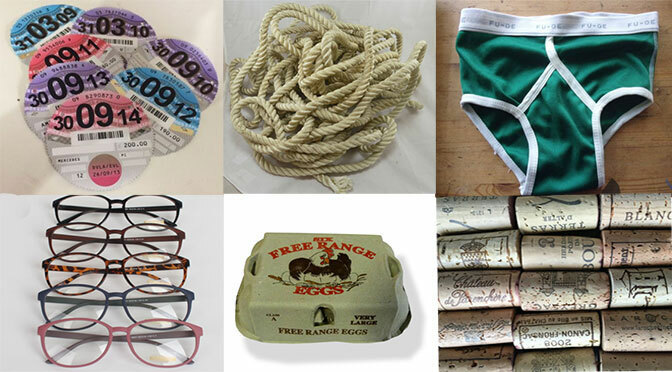 Here is my eclectic top 10 bits and bobs you can sell on Ebay to make some cash – make sure to keep using words like retro, shabby, up-cycled and vintage when listing items. Who would have thought that you can actually make money from old rope. 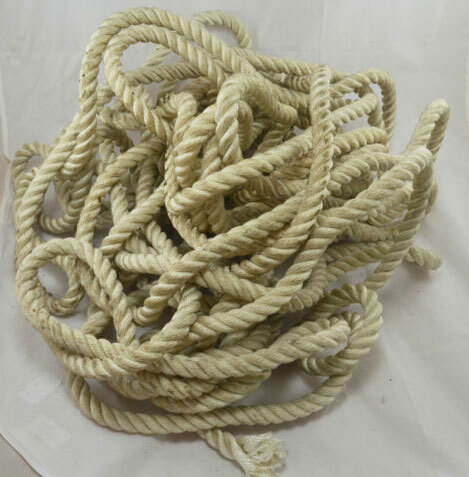 Used natural fibre rope, (often called shipping, mooring, decking or anchor rope) if it is a hefty thickness and reasonable quality, can fetch more than a £1 per metre. You won’t get as much for the synthetic fibre type rope but there is still a good demand for it from frugal boat owners. Heavy duty hemp rope in just about any condition will often be used by gardeners for sectioning off pavement or parking areas as the old fashioned look often works better than using shiny but cheap looking plastic chain. Living by the coast I often see discarded old rope which from now on it will be going into the boot of my car and finding it’s way onto Ebay. I tried to think of a headline pun for this, but then decided it didn’t really need one – people actually buy old tax disks! 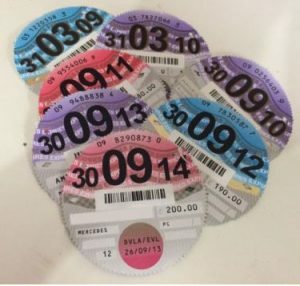 So if you know anyone with an old or classic car it might be worth checking the glove compartment to see if there are any tax disks from the 1970s or earlier. They don’t actually have to be all that old – a run of tax disks post 2000 with none missing could be worth a few quid – I have no idea why! Obviously you wouldn’t normally go out of your way to buy this type of clothing but anything made in the 1970s from nylon will sell if you use words like ‘retro party’ and ‘vintage’ in the Ebay description – and they will sell for surprisingly large amounts. On one forum I read that there’s a big market for (clean!) 1970s nylon Y-fronts (pictured in the main image). I’m informed that this clothing is popular in America and with the gay community. Sticking with a retro theme, ‘old-fashioned’ used glasses are popular with 100s of items currently listed. With and without lenses, the fashionable brands sell well and if you’re discarding old glasses due to a prescription change or simply because you’ve ‘moved on,’ why not sell them on Ebay? As with the posh carrier bags it’s no surprise to see you can sell the cases for more than just a few quid if they can easily be identified as Amani, Ralph Lauren or Bvlgari. 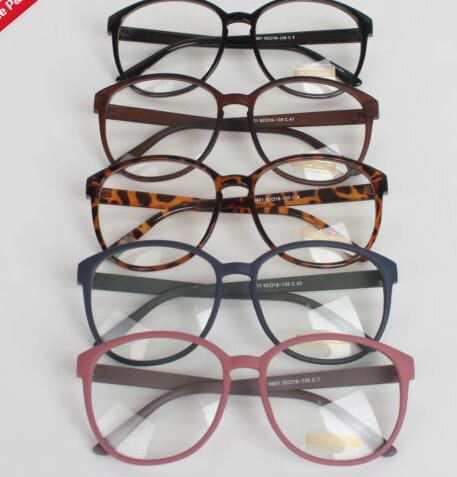 I suspect some people might buy a cheap pair of glasses and keep them in a trendy case – not a bad idea in many ways! a wooden wagon wheel or ideally a pair of wagon wheels – no practical use since the invention of tyres but a pair of wooden wagon wheels can fetch a few hundred pounds. Old wooden barrels (nowadays made from non-leaking materials like metal or plastic) sell for over £50 and make nice decorative garden planters. Make sure you keep in regular contact with anyone who buys a new laptop when the old one slows down a bit – you can help them transfer their data and then kindly take it off their hands offering to wipe the hard drive. Obviously give it a ‘clean’ (bit of a geek joke here), by which I mean something like this) and then a few minutes minutes on Ebay should prove time profitably spent. Most of the suggestions in this article are somewhat niche, but in this case, the last time I looked there were over 30,000 laptops listed which shows you the scale of this market! Do you have a few posh paper carrier bags in a cupboard somewhere? Perhaps they were a bit too nice to throw away when you bought or gave an expensive gift. I’m not talking Sainsbury’s carrier bags here but branded paper carrier bags from the likes of Gucci, Paul Smith, Louis Vuitton, Prada, LaSenza or Agent Provocateur. 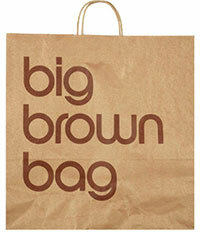 If you’ve been to New York and bought anything from Bloomingdales (or Macy’s), your ‘big brown bag’ will fetch a few quid. Some of these paper carrier bags will sell for over £5 (a bit like the branded glasses cases mentioned earlier) so a nice cache of these should not be heading for recycling! 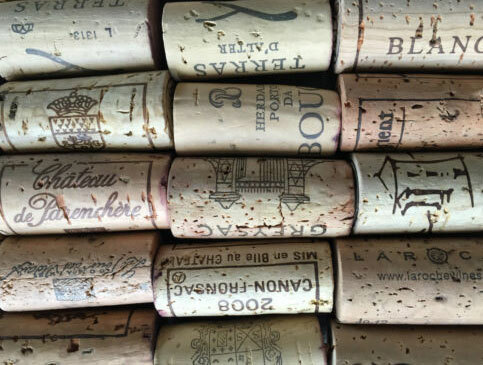 On the subject of recycled posh stuff, someone (at time of writing) is actually offering on Ebay 50 used Champagne corks for around £10 which is nearly 20p each. There are also people selling ‘natural’ wine corks although they probably struggle to get more than 5p to 10p per cork; unless you’re a very heavy wine drinker it probably wouldn’t be worthwhile collecting these. If you were so inclined there are probably all sorts of venues you could scavenge these and ‘up-cycle’ them into something with a good profit margin. And I’m not just referring to Aussie hats! There’s a lot of upcycled furniture that uses corks and I’m reliably informed that many brides seem to like having champagne corks as placeholders at weddings! (Not one for Dragon’s Den but I’m sure there’s a micro business for someone in that!). Staying with a recycling theme, egg cartons in good condition sell for up to 10p each so if you work somewhere that uses loads of these get chucked out daily, (a cake shop or restaurant etc) it could be worthwhile accumulating a few. I know someone who keeps a small number of chickens and is always on the look-out for egg boxes so they can sell their surplus eggs. But away from the proper use there is surprisingly good demand for second hand cartons for ‘plant starters’ not to mention their use in lining garages and sheds to dampen the sound of teenage rock bands! If you are having major home renovation involving ripping down walls, demolishing out-buildings or upgrading central heating systems, don’t just chuck everything in a skip. There are lots of people selling reclaimed bricks and timber on Ebay and obviously copper piping and hot water-tanks can be sold to scrap merchants. The reason I mention this is that I once spent a couple of hours calling round 5 or 6 local reclamation yards to see if anyone would collect a pile of around 600 slates from the roof of my house which were being replaced. No one was interested – in fact I gave up when one of them suggested I pay him to collect them for me! I put them on Ebay and too my surprise at least 15 people made bids and I ended up selling them for around £350 to someone who was prepared to make a 120 mile round trip to collect them! If you have any suggestions of other slightly unexpected things that are worthwhile selling on Ebay then please let us know. People buy old tax disks? Wierd! I found the tax disc one out recently and it still makes me laugh what some people will collect. I really need to have a rummage through my old car files, I’m sure I have lots of these!